Professor Monica Whitty is a cyberpsychologist, whose research over the last 15 years has focused on the ways individuals behave in cyberspace. Her work, in particular, examines: identities created in cyberspace, online security risks as well as detecting and preventing cybercrimes (e.g., mass-marketing fraud, insider threats). Professor Whitty currently holds a Chair in Human Factors in Cyber Security at the University of Warwick and will be working full-time at the University of Melbourne starting January 2018. She currently holds a part-time Chair at Melbourne. Professor Whitty previously held a Chair at the University of Leicester (2010-2016). Prior to working at Leicester she held full-time academic posts at Nottingham Trent University (2007-2010); Queen's University Belfast (2003-2007), University of Western Sydney (1998-2003) and Macquarie University (1995-1996). Professor Whitty is first author of 'Cyberpsychology: The study of individuals, society and digital technologies' (Wiley, 2017) with Garry Young and 'Truth, Lies and Trust on the Internet' (2009, Routledge) with Adam Joinson. She is the author of over 100 publications, given over 25 invited and keynote lectures and has supervised over 50 Masters and doctoral students. 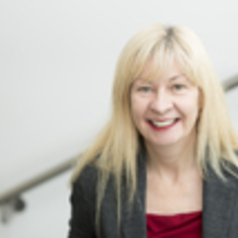 Projects led by Professor Whitty include those funded by: research councils (e.g., Australian Criminology Research Council, British Academy, ESRC, EPSRC, Nuffield), defence (e.g., dstl) and government and industry (e.g., National Fraud Authority, National Media Museum, match.com, RSVP). She has also worked as a co-researcher funded on projects by government (e.g., CPNI, Technology Strategy Board).